In ending free coffee for public servants, what message is Doug Ford sending? You could see it coming miles away. Even before assuming office, our newly minted premier announced that government officials were no longer “going to live high off the hog with taxpayers’ dollars.” Laying down the law, he asked Ontario’s top civil servant to issue a directive that, among other things, banned the serving of free coffee or sandwiches at meetings of public servants. And it wasn’t just the public servants. Leading by example, he decreed that there no longer would be free lunches at Conservative caucus meetings. Future get-togethers by Tory MPPs would involve hamburgers and hot dogs purchased from Costco. It was all so predictable (okay, maybe not the Costco part). Haven’t populist politicians always tried to make their mark through symbolic actions? Didn’t Mitch Hepburn, Ontario’s 1930s premier, auction off ministerial limousines used by the previous government? Didn’t Preston Manning and his band of Reformers promise not to take MPs’ pensions or use Stornoway, the official residence of the Leader of the Opposition? Didn’t Mike Harris run on a platform of ending MPPs pensions and their tax-free allowances? No, this is not one of “those” columns by an ex-politician whining that government officials are entitled to their entitlements and these moves will do nothing to tackle the deficit. Nor is it one of those about how most populist politicians either abandoned their promises (Manning moved into Stornoway, after all) or found a way to implement them that didn’t live up to their spirit (think massive payouts to politicians when provincial pensions were eliminated). I actually like Costco hamburgers and could care less if Caroline Mulroney and Christine Elliott are asked to pony up a few bucks every week to pay for them along with the accompanying condiments. No, what concerns me about Doug Ford’s symbolic austerity program, however, is the message it sends to the public service. Remember the public service: The permanent officials who serve whoever is elected. The women and men whom the new government will have to rely on to develop and implement its agenda. The experts who understand how government works and can provide solid advice on how to address the many challenges facing our province, including how to curb spending. The Liberal government may have had many warts but one area where it did succeed was in building a first-rate public service. Not only is the provincial government filled with talented and creative individuals, there has been much behind-the-scenes work done to think about the future of government in a rapidly changing world. Which brings us back to free coffee. I had the pleasure of working with many excellent public servants who worked very hard to serve the government of the day. And yes, we often had free coffee and sandwiches at meetings to increase productivity and allow us to work through meal times. It also hopefully created a hospitable atmosphere and sent a message to public servants that they were valued employees and the Ontario government was a good place to work. Has all this changed? What message does it send government officials when a free cup of coffee and a veggie wrap during a briefing suddenly becomes an example of “waste?” What signal does it send about the way the Ford government will view and work with the public service? Is this simply the first step of many that will demoralize its ranks? These are serious questions and should be of concern to all Ontarians. Our province faces some big challenges. A trade war with the United States could devastate our economy. Climate change is already resulting in a growing number of serious storms, floods and other natural disasters that need to be managed. Increasing automation and the rise of artificial intelligence are set to dramatically change the world of work. Ontario is facing a mental health crisis and opioid addictions continue to increase at an alarming rate and the list goes on. And although the direction on how to best handle these issues will ultimately come from our elected officials and their political advisers, it is imperative that we have a first-rate public service to undertake technical analysis, develop thoughtful options and implement complex policy. We need the best and the brightest doing creative work and it serves neither the government nor the public to create an atmosphere where talented public servants leave, are not given an opportunity to deliver their best or where new talent can’t be recruited. Beyond logistical challenges, I doubt there are any public servants who care if they have to grab a coffee on their own dime before they go to a meeting. What they will care about is whether they are treated with respect and see their work valued. Symbolic actions often backfire. Ontario’s new government ignores this reality at its peril. 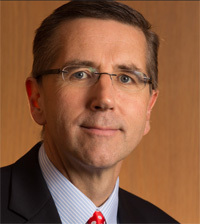 John Milloy is a former MPP and Ontario Liberal cabinet minister currently serving as the Director of the Centre for Public Ethics and assistant professor of public ethics at Martin Luther University College, and the inaugural practitioner in residence in Wilfrid Laurier University’s Political Science department. He is also a lecturer in the University of Waterloo’s Master of Public Service Program. John can be reached at jmilloy@luther.wlu.ca or follow him on Twitter @John_Milloy. This column was originally published in the online publication QP Briefing.